Police were called by the North West ambulance service to the junction of Ribbleton Avenue and Ribbleton Hall Drive just after 2pm today. 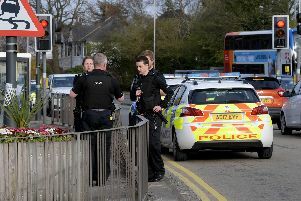 The young cyclist had been involved in a collision with a car. Both Ribbleton Avenue and Ribbleton Hall Drive were closed in both directions as the air ambulance was called, however, it was not needed and the boy was taken to hospital by road.